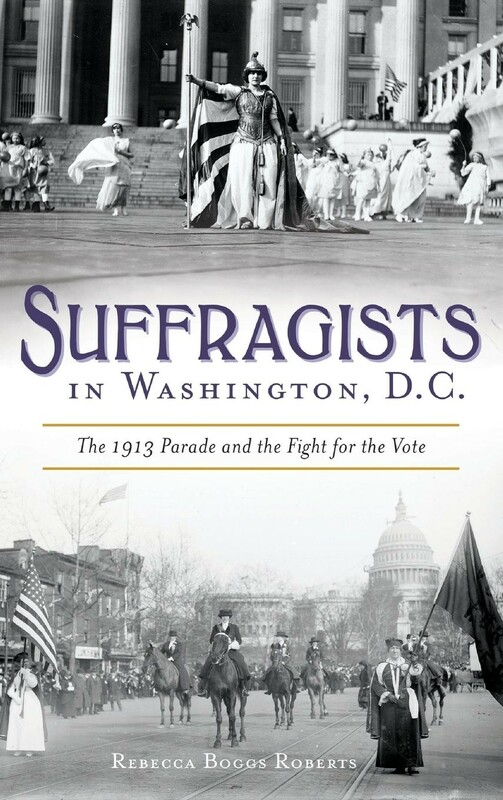 For more books about suffrage in both the US and around the world, visit the Suffrage section of our Women's History Collection. 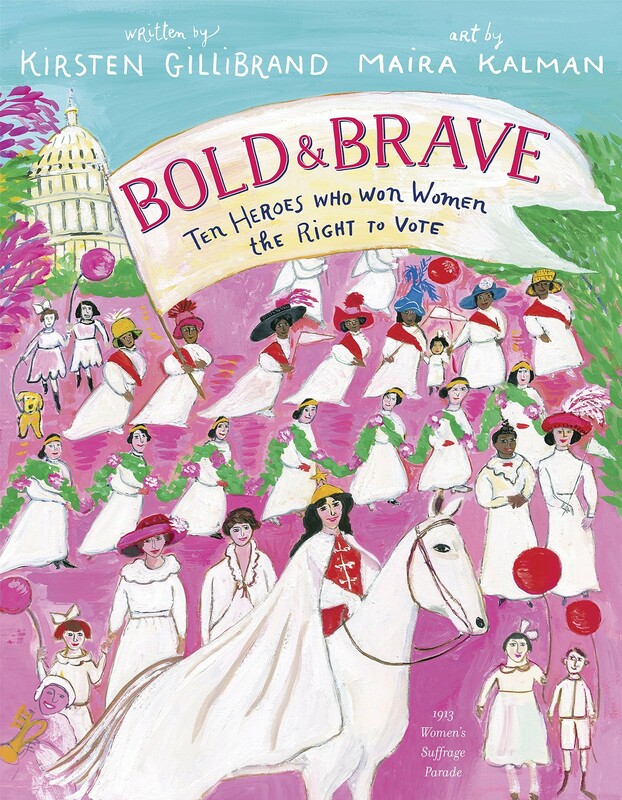 For books about the voting rights struggles which continued during the Civil Rights Movement, visit our special feature on the Top Mighty Girl Books on Civil Rights History. 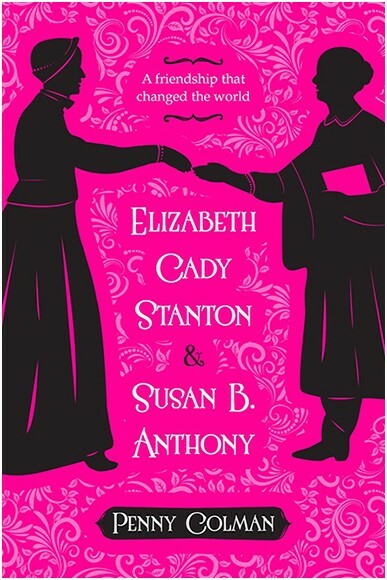 From an early age, Elizabeth Cady Stanton was aware that women did not have equal rights with men — and she was determined to change that. Unlike many women of her time, she went to college and soon began gathering other like-minded women to demand equality. 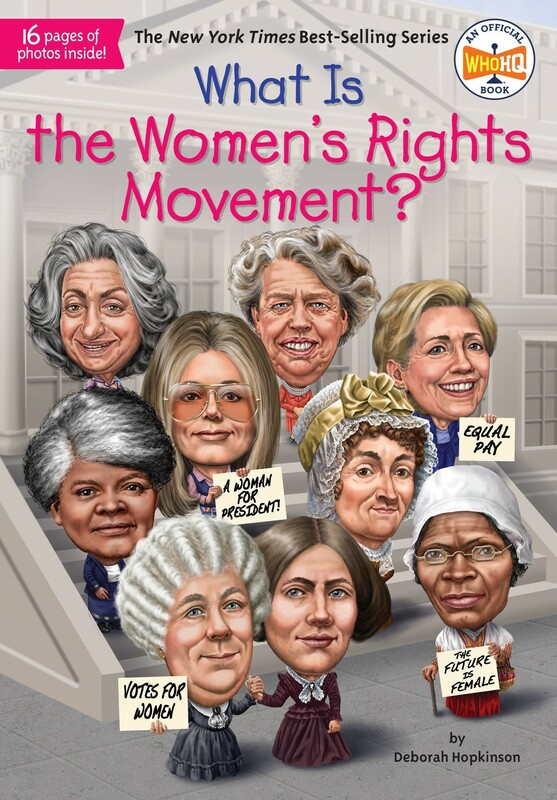 At the first ever women's right conference that she organized in Seneca Falls, New York, Stanton presented the Declaration of Right and Sentiments, which included a demand for the women's right to vote. In this picture book biography, Tanya Lee Stone focuses on seeing the world through Stanton's eyes, without facts or dates, making her relateable for younger readers; an author's note at the end talks about Stanton's further accomplishments after the convention. It's 1896, and all Bessie wants is to go hiking with her father and brothers... but girls don't hike, so they leave her at home. Instead, she gets to meet an intriguing guest: Susan B. Anthony, in town for a suffrage rally in hopes of passing the first referendum on women's suffrage. Inspired by Anthony's speech, Bessie recruits a friend to join her as she helps at the suffrage headquarters. There may be lots of things that Bessie can't do, but perhaps, someday, those restrictions will finally lift. Although the 1896 referendum did not pass, Claire Rudolf Murphy's fictional story of a real Californian girl hints at the change to come: Bessie's mother learns to ride a bicycle and her father decides to take her hiking after all. Nell Richardson and Alice Burke wanted to convince America to support equal voting rights for women... so in April 1916, they set out from New York City to tell people in person! In a little yellow car, carrying key supplies like a typewriter, a sewing machine, and a little black kitten, they toured the country over 10,000 miles of bumpy, muddy terrain. 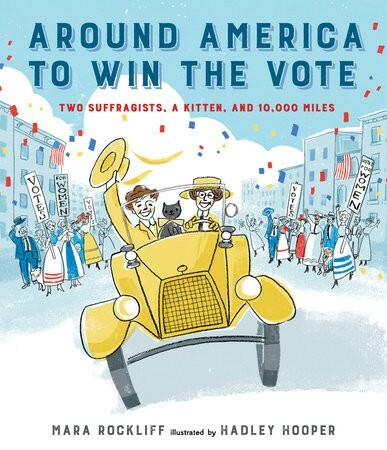 In honor of the 100th anniversary of their whirlwind tour, author Mara Rockliff and illustrator Hadley Hooper have created a charming and lively picture book that beautifully captures their spirit of adventure and their determination to spread the message about equal voting rights. In 1872, Susan B. Anthony made history — and broke the law — by casting a vote in the presidential election. Anthony was prepared to argue that the 14th Amendment, which had been ratified in 1868, extended voting rights to women. 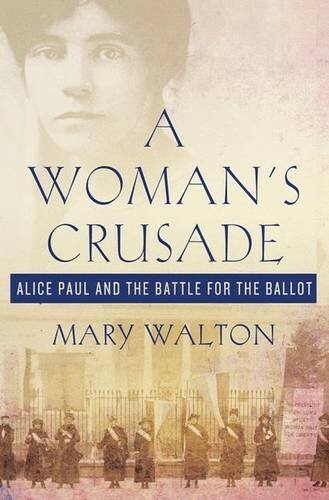 In this inspiring story, kids follow Anthony as she casts her vote, and then persists in arguing for women's suffrage even as she is arrested, tried, and convicted — what she called "[t]he greatest outrage history every witnessed." The story ends with the judge's infamous fine of $100, which Anthony refused to pay. 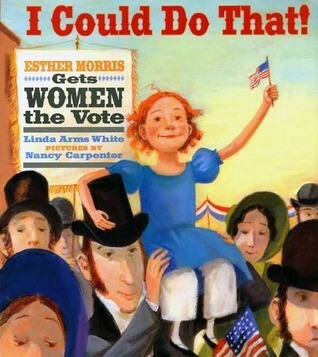 This dramatic celebration of Anthony's tireless efforts on behalf of women's suffrage, which wouldn't be added to the US Constitution until 1920, will have kids seeking out more information about this dedicated suffragist. All her life, Esther Morris' response to any challenge was, "I could do that." She proved her mettle when she started her own business at the age of 19. 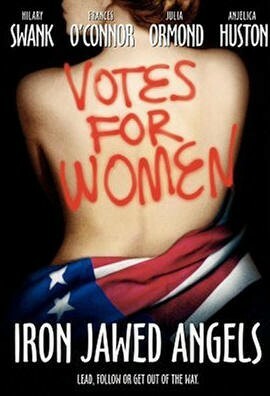 But even though she knew she was capable of voting, only men were allowed to cast a ballot so she decided it was time for a change! Morris led the first successful American campaign for women's suffrage in Wyoming Territory, which passed in 1869, and went on to become the first woman judge and the first woman to hold political office in the US. This lively story captures the determination and confidence of a woman who never saw a thing she couldn't do. 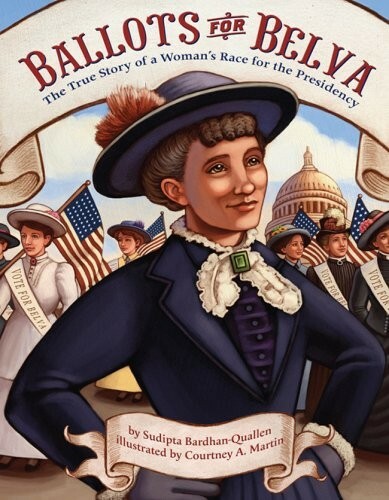 In 1884, women weren't allowed to vote for America's president but a woman named Belva Lockwood realized that there wasn't anything preventing a woman from running for president! And she was no gimmicky candidate: Lockwood had gone to college and passed the bar, and had even argued cases in front of Supreme Court. Although her campaign was difficult, Lockwood never wavered in her commitment to the fight for equality. She earned the respect of many voters and thousands of votes — and started an important conversation about women's role in politics. 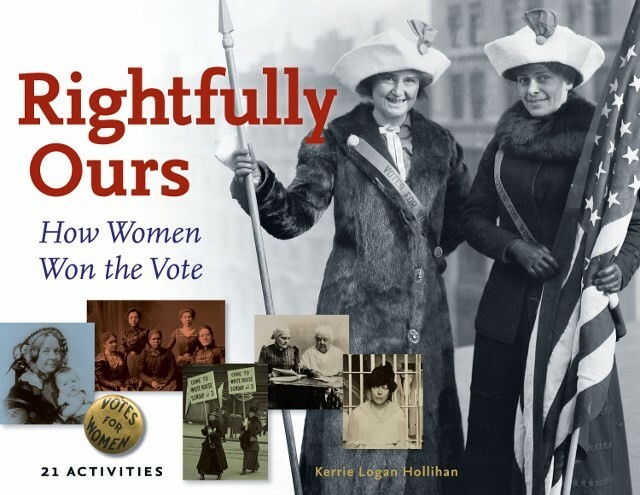 This fascinating story is accented by elegant illustrations, and includes a glossary and a timeline of the Women's Suffrage Movement. 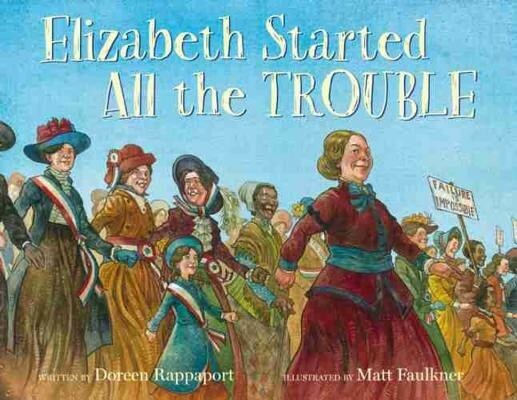 For another picture book about this trailblazer, we recommend A Lady Has The Floor: Belva Lockwood Speaks Out for Women's Rights. 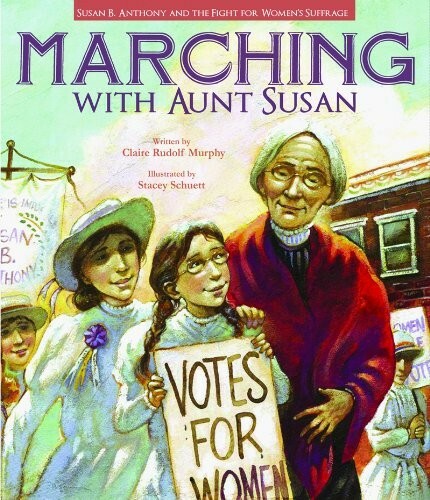 This unique picture book takes readers on a journey through the seven decades of the Women's Suffrage Movement. 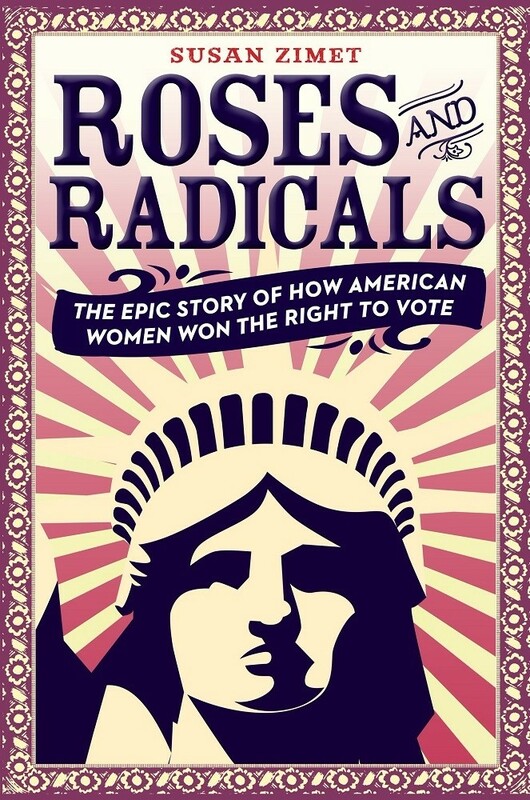 From Elizabeth Cady Stanton and Lucretia Mott at the Seneca Falls convention, to Alice Paul and Lucy Burns' protests that finally led to the 19th Amendment, this book presents a capsule history of the movement, its key figures, and the most important moments on the quest to get women the vote. 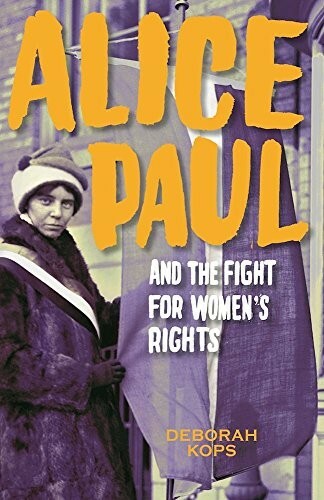 With enough detail to satisfy a newly independent reader, but an accessible tone that creates a sense of excitement to the story, this newly released book is sure to become a favorite resource on women's history. When women were just beginning their quest for the vote, it's important to remember that African Americans still faced the struggle to end slavery. 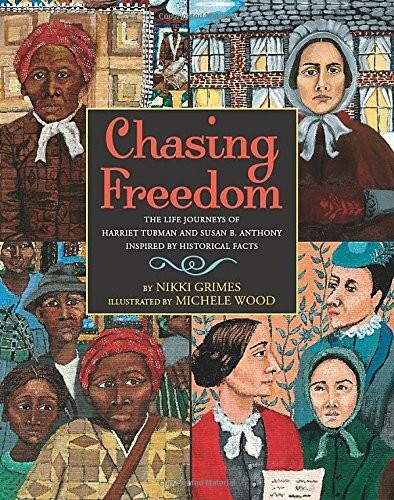 In this work of historical fiction, award-winning author Nikki Grimes imagines a conversation between Harriet Tubman, the legendary Underground Railroad conductor and civil rights advocate, and Susan B. Anthony, the famous women's suffrage leader. As they chat, they tell their stories, set against the backdrop of a rapidly changing 19th century America. 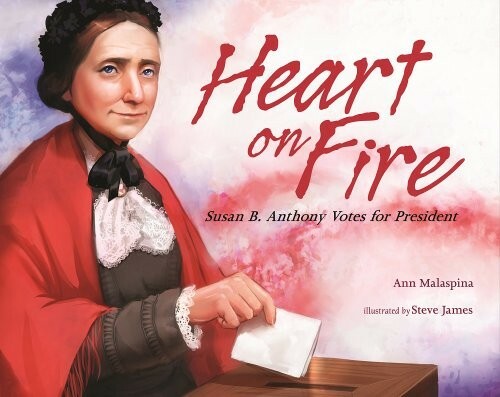 This unique look at two of America's history-making women also includes back matter that encourages kids to learn more about them and their period of history. 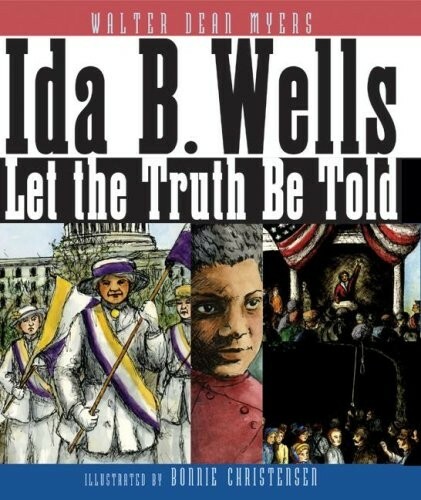 While trailblazing journalist and activist Ida B. 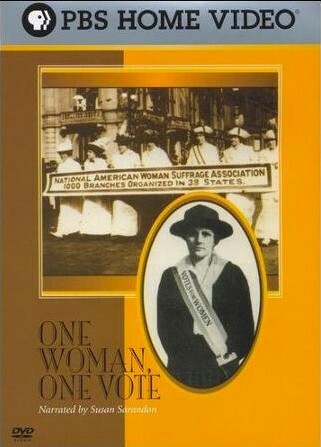 Wells is best known for her work with the Civil Rights Movement, she was a devoted suffragist as well. This book takes young readers through Wells' life, from her birth in slavery to her remarkable academic career, and then highlights her work as a teacher and crusader for equality on multiple fronts. Walter Dean Myers captures the determination and drive of this incredible woman, while Bonnie Christensen's historically accurate illustrations enhance the text. 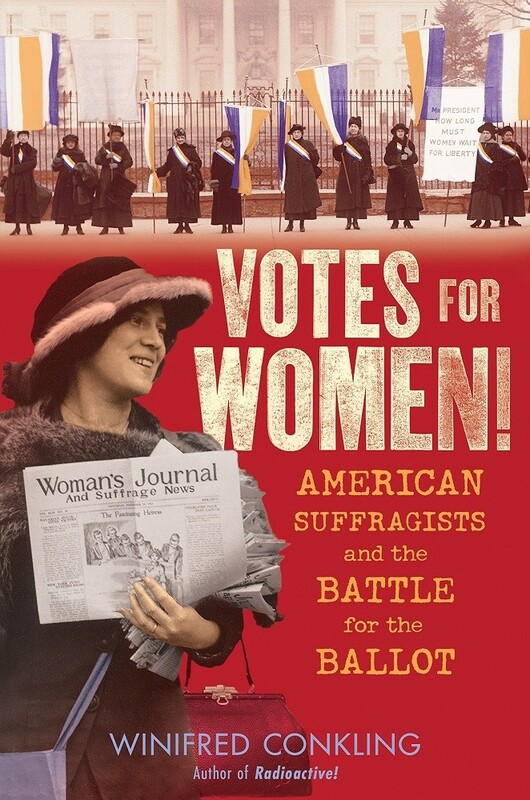 The contributions of women of color in the Women's Suffrage Movement are often overlooked, so this book provides an opportunity to discuss their role in the journey towards universal suffrage. 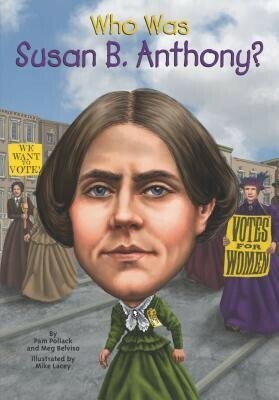 The indomitable Susan B. Anthony gets her own entry in the accessible Who Was...? biography series! From her time working as a schoolteacher in New York — where her refusal to accept lower pay than her male colleagues marked the beginning of a career advocating for women's rights — to her speaking tours in the US and Europe, this book captures the real woman behind the history books. These popular illustrated biographies capture the time period and the personalities involved and are a great way to introduce kids to key figures from history. 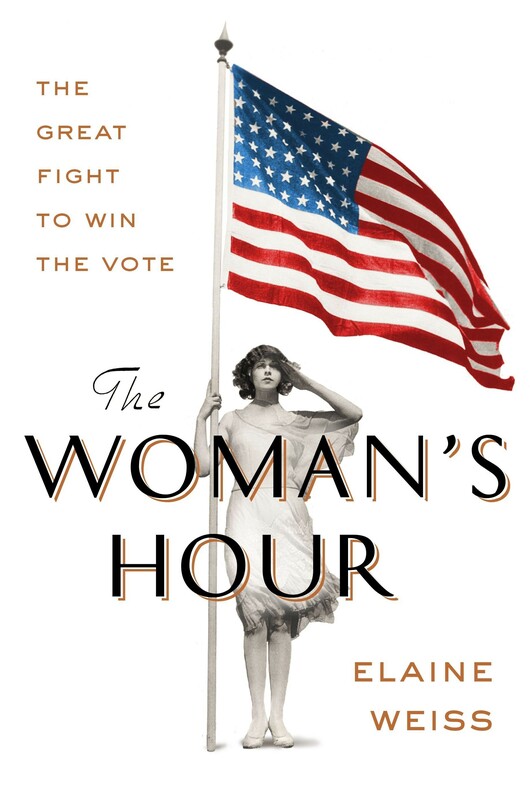 Did you know that Jeannette Rankin, the first woman elected to Congress, won her seat at a time when many women in America still couldn't vote? 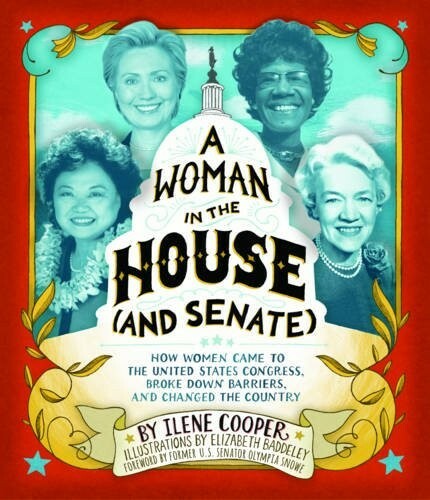 Author Ilene Cooper's intriguing story of women in politics begins with the Suffrage Movement and then goes on to tell the story of the women who have since played roles in America's national political scene. By sharing their stories, Cooper simultaneously highlights the successes of the past and present, while also showing why parity in politics is such an important goal. Kids will enjoy the informal writing style and the interesting anecdotes about these history-making women. This fascinating documentary tells the story of how these two determined and courageous women became the strong roots of the women's rights movement in the United States. Through a combination of actors reading the women's writings, commentary from historians, and archival photographs and footage, director Ken Burns tells each woman's story — as well as the story of their friendship — and shows how each chose a different path that, nevertheless, led each of them towards a life of activism on behalf of American women. 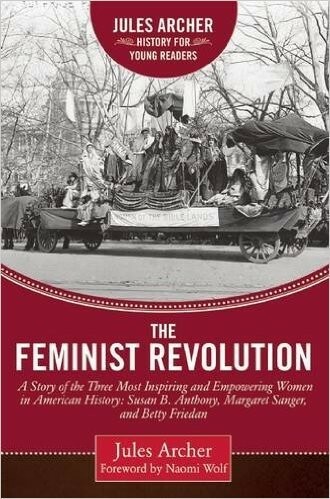 Finally, he shows how far women's rights have come since Stanton and Anthony started their crusade, and highlights how their work continues to resonate with today's women's rights activists. What is now a childhood rite of passage — riding a bicycle — was once a revolutionary opportunity for women to gain freedom of movement and independence. 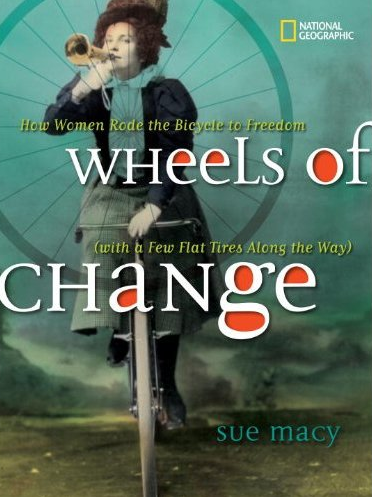 Sue Macy uses vintage photographs, advertisements, cartoons, and more to show how the ability to travel freely made definitive improvements in women's lives — something that's still happening in other countries of the world today. Most importantly, the ability to travel alone to gather with other women was a key element in the success of the Women's Suffrage Movement; with two wheels of her own, no woman had to wait for her father's or husband's permission to stand with the suffragists. 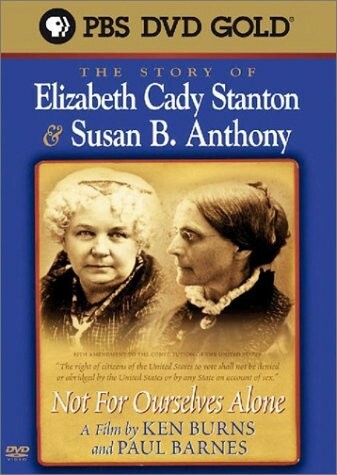 Elizabeth Cady Stanton was the married mother of four boys; Susan B. Anthony was a former school teacher who was resolved never to marry. And yet these two women shared a deep conviction in the need for women's rights — and particularly the right to vote. Together, they worked tirelessly to change attitudes and laws, despite ferocious opposition from outside the movement and betrayals from friends and family. Penny Colman's excellent narrative has just been reprinted in a paperback edition, ensuring that a new group of girls will have the opportunity to read about this influential friendship. 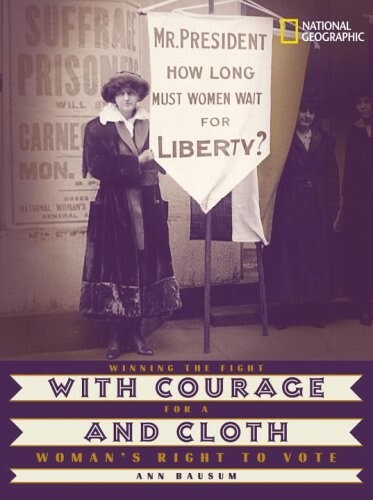 For more books about suffrage in both the US and around the world, visit the Suffrage section of our Women's History Collection. 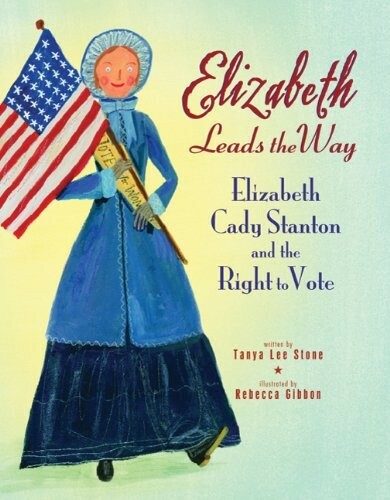 For more resources about some of the key figures in the US Women's Suffrage Movement, check out our Elizabeth Cady Stanton Collection and our Susan B. Anthony Collection. British suffragettes faced the same violent opposition as their American suffragist counterparts; for an excellent film that captures the British battle for suffrage, check out the 2015 film Suffragette. For biographies of other activists who have done their part to change the world, visit our Activist Biography Collection.